A landmark moment for the British music business: a self-released album has hit No.1 on the Official UK Chart – while breaking the market’s all-time record for week-one streams. Stormzy’s Gang Signs & Prayer secured a combined chart sale of 69,000 this week, according to Official Charts Company data – pipping Rag’N’Bone Man’s Human to the top spot today (March 3). Within that figure is at least 17m streams from the album on Spotify, according to a calculation based on the platform’s latest weekly chart numbers. 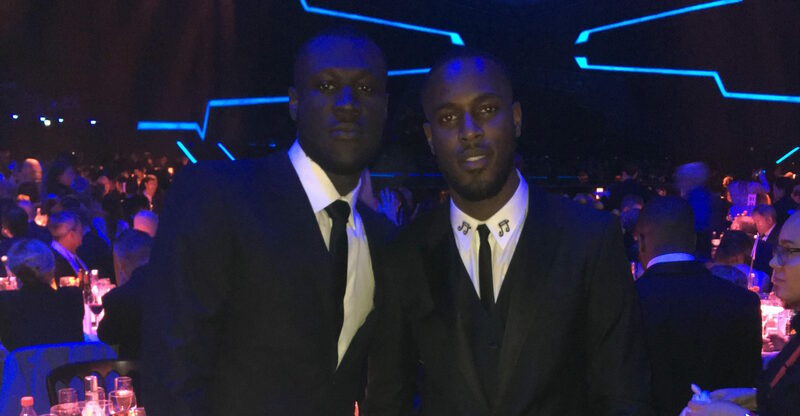 Stormzy’s album was released on his own label, #Merky, which he co-runs with manager Tobe Onwuka. The grime artist is signed to Warner/Chappell for publishing, while #Merky has a distribution deal with Warner’s ADA. ADA revealed earlier today that 53% of GSAP’s chart-eligible UK sales (including converted streams) actually came from Apple platforms (iTunes and Apple Music). This may have something to do with the fact that, in a bid to secure the No.1 spot, GSAP was made available for £4.99 on iTunes earlier this week. Perhaps even more impressively, Gang Signs & Prayer has racked up the most first-week streams for a No. 1 album in UK chart history, across services such as Spotify, Apple Music and Deezer. The previous highest No.1 was Drake’s Views, which claimed 12,232 equivalent album sales from streaming (exclusively on Apple Music) in its debut UK week. MBW is told Stormzy’s album racked up over 20,000 streaming equivalent sales in its opening seven days. GSAP’s total week-one streams also beat those set by Justin Bieber’s Purpose, which previously held the all-time record (but debuted at No.2 on the chart behind Adele when it was released in November 2015). Stormzy’s single Big For Your Boots was No.2 on the official UK Spotify chart this week with 3.23m eligible weekly streams and 8.76m lifetime streams in total. That was just behind Ed Sheeran’s Shape Of You, which has 4.71m eligible weekly streams and over 50m lifetime streams. He added: “In reality, you sit down with them and they tell you, ‘We’ve both got to figure this out, and we can offer you some money now and take more later.’ Nothing any of the labels said was mind blowing, there was nothing that was out of our own reach.